Work for GoDaddy Online Marketing? Learning about GoDaddy Online Marketing? GoDaddy online Marketing's most compelling feature is its wide array of features. I am especially happy with ease with which it allows me to create attractive, full-color emails. I am also able to tap new talent readily to manage this from time-to-time because of the limited technical skills it requires. While I love the affordances of the software, the template management and WYSIWYG Email Editor features are limiting. Perhaps more detailed information about how to manipulate both should be provided. This is a great tool for A/B testing, and if you're big on pre-testing as a mechanism this can also be used for that. My team has been struggling with getting feedback, probing and making use of analytics, but since our trial of this software we have been able to make substantial inroads. This is our most direct benefit thus far. We've also been able to make major inroads in managing a vast image library. I appreciate the work that GoDaddy has done since their old days in making their online marketing platform simple, easy, and capable of use for the average user. Part of what makes it great is the high functionality with low learning curve. This design choice is excellent and there for a specific and utilitarian reason. Dislike the high price point for the product. I would say that its OK but not a great selling point. I would say that if the price point is decreased, there will be greatly increased satisfaction from customers for using the product. I would say generally its a good product and highly recommend that one tries it out at least. Godaddy is a useful product that provides the benefit of online marketing analytics beyond the conventional amount that is able to be discerned from eyeballing the data. Not only does it provide a dashboard of useful and usable analytics, but it also provides simplification processes on methods to better target and acquire customers. Essentially it is a cloud CRM product. What I liked best about GoDaddy Marketing was the idea that I would be able to streamline my process of advertising. What I disliked the most about GoDaddy Marketing was that the program itself has bad design written all over it. It’s not easy to use nor is it pretty to look at. The business problems K solved using the GoDaddy Marketing was that I was able to establish more clientele in theory. I find the Go Daddy online very easy to user-friendly! It is also great that their website is iPhone friendly! I don't hate much about the website, well done. Although I wish they didn't have so much information on one page. I would love more explanation on each page. "Easy to Operate for Personal and Professional Use"
There is the ability to do search engine optimization, an option that is useful for customers who are unfamiliar with digital marketing. 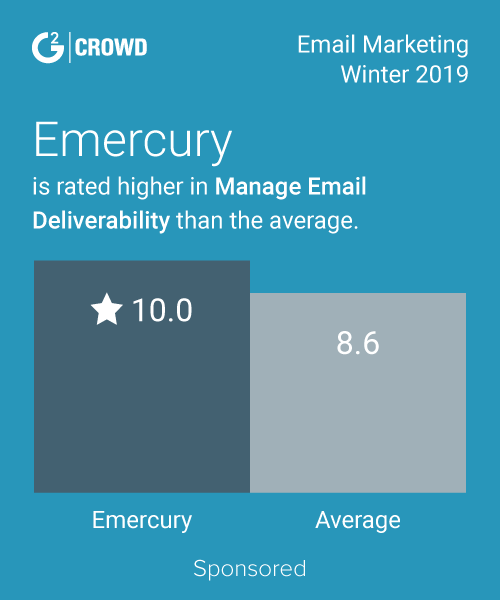 The algorithm is unclear as to how SEO works, however, email marketing is useful and a good substitute to other popular email marketing tools. GoDaddy is expanding its support for digital marketing by offering SEO and email marketing products. This makes it easier for agencies to convince clients to switch to new and current digital marketing tools. Consider the price, as this is not cheap either for professional or personal use. Helping customers host their sites and optimize their websites. "Go daddy is best website to buy domains"
You can easily find any type of domain here. Just type domain and buy domain, that's it. Some domains like ".com" costs too high but there are many other domains which are of low cost. If you want to buy any domain, then i would recommend you only GoDaddy. Many domains are available here to purchase at reasonable price. I bought a domain ".in" for my blog. This is very popular domain so thanks to GoDaddy. "Best Cheap price domain provider and support "
Godaddy is best domain name provider among all also its support team is very polite. Please reduce cost of premium category domain name. Today, IShailesh is a leading and top customer rated SEO hindi blog in India because of Godaddy. I did not know about how to setup domain name? Godaddy Support team provide complete guide How do I can setup own domain on Wordpress? GoDaddy Online Marketing makes promoting your business or product easy and intuitive! I wish there would be more social integration with ALL the major social platforms. GoDaddy Online Marketing eliminates the unnecessary hassle of clicking back and forth to various 3rd party apps to get our message across. The benefits are definitely being able to utilize a powerful marketing tool that is user-friendly! I loved how easy and user friendly the platform was, I felt like I could start developing custom URL's in minutes. Honestly, I don't have anything that I didn't like about this platform. Trying to be one of kind in our marketing strategies will custom URL's that directed users to conversion central landing pages. This helped us build quality leads. "godaddy online marketing is as easy to use as its domain providing service"
* We monitor all GoDaddy Online Marketing reviews to prevent fraudulent reviews and keep review quality high. We do not post reviews by company employees or direct competitors. Validated reviews require the user to submit a screenshot of the product containing their user ID, in order to verify a user is an actual user of the product. Hi there! Are you looking to implement a solution like GoDaddy Online Marketing?